Now moved on to lead worship again at Pilgrim Church in Deep Creek. Lot's of changes there right now to introduce more contemporary stuff. Good fun! It's time to look for a new church! Our time leading worship and directing media efforts at Life Port Church has sadly suddenly come to an end. 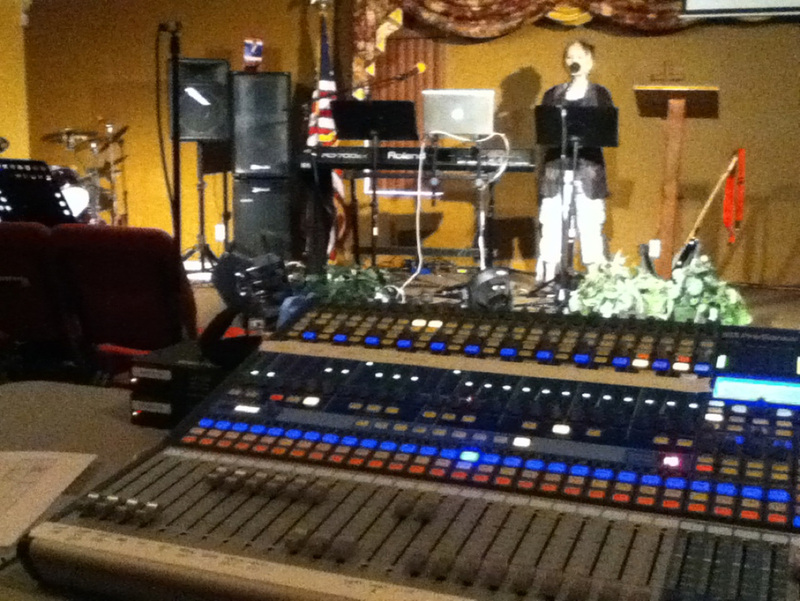 If you need help with your worship band or technology, give me a shout! I have some spare time at the moment. I've been eyeing up websites lately - I've been rowing just over a year and am thoroughly enjoying it. From a former couch potato who skived off PE at school and never did anything other than a bit of golf and lazy tennis, this is quite something. Every other day at daybreak, plop, in goes the Edon and off I go to challenge my heart and the Speedcoach to get that average stroke rate down. A Concept 2 rowing machine would be more cost-effective and convenient but does it leave a bubbly wake, reward a good stroke technique or provide ever-chaging scenery and close-ups of fish jumping? No. 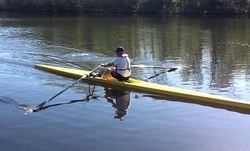 Now the Edon is by definition a training scull, it's only 5.13 meters long, is relatively draggy compared to a true racing scull so thoughts on the back straight usually turn to something thin, long and pointy, made of carbon and kevlar and impossibly fast. Then common sense sets in - for me? No. Completely daft. I'd break it, fall out of it and get eaten by an alligator, and it wouldn't even fit in my garage. It would cost a few times more than the Edon and I couldn't row it about the little "kayaky" inlets all over our coast. All in all, even if one day I can afford the carbon fibre shell and find somewhere to store it, I'll still be using the Edon regularly for what it does so well - keep me dry and get me fitter day after day after day - bangs, scrapes an' all. Those Edon ozzies did a good job. Fastest time ever today - must be the new red grips.